(NaturalNews) In the aftermath of round one of the Bundy Ranch armed siege by the U.S. government, I have decided to offer the federal government an intelligent analysis of the new rules of engagement. People like Daniel P. Love, Special Agent in Charge of BLM Region 3, desperately need to review and learn these rules. Other federal agents also need to understand the tectonic shift of power that has just taken place and how it will impact their operations from here forward. Why am I doing this? 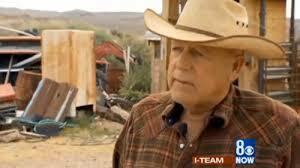 Because the BLM, through its astounding incompetence and arrogance, very nearly initiated a massacre at Bundy Ranch which would have been disastrous for the BLM agents actively engaged there. The incident very nearly came to a shooting war, and it is the outdated, ill-informed government playbook that inflamed the situation and brought it to a flashpoint of violence. At every step, BLM escalated the situation beyond reason: who brings snipers to a tortoise dispute? Who unleashes attack dogs on unarmed pregnant women and cancer survivors? The BLM, that’s who! I know there remain many good agents in many different departments of the federal government. But there are also many incompetent agents who are still living in the 1990’s and think they can run an armed ranch siege in 2014 the same way the ATF ran the Waco, Texas siege in 1993. But the rules have changed. As proof of that, consider the now-historical fact that BLM agents publicly surrendered and retreated from hundreds of armed citizens near Bunkerville, Nevada. How did this happen, exactly? To understand that, you must understand the new rules of engagement between the feds, the media and the citizens. So if you have any friends who are feds in any department — BLM, ATF, DEA, FBI, etc. — make sure they get a copy of this article… and we all might spare ourselves some bloodshed in the near future. Personal context: As far as my own background, I am a long-time supporter of local law enforcement, a fan of certain individuals within the FBI who are still part of “the good guys” pulling for America, and an outspoken critic of overzealous abuse of power in any agency, including the ATF, DEA and of course the BLM. My personal beliefs on current events can best be summarized by the words of Judge Andrew Napolitano in this video interview.